Congratulations Central Dauphin RAMS on an AWESOME performance! Congratulations to boys and girls swim teams for strong performances this weekend at the Mid Penn Polar Plunge. The boys were led by senior Jace Kendle who was a 4 time gold medal winner in the 200 medley relay, 50 free, 100 free, and 200 freestyle relay and senior Gary Gifford a three time medalist. Other medal winners for the boys were Shawn Desouza, Sam Gherardini, Tristan Ring, Dan Getz, Tyler Miller, Logan Pliska, Conor Hoffman, Kyle Miller, Sadiq Sistrunk, Elliot Walak, Dalton Will and Chris Bloom. The girls were lead by seniors Rachel Cherry and Jasper Phy who each received a medal twice. Also earning medals for the girls were Emily Young, Evvie Thompson, Amber Gatling-woods, and Abby Echard. Fantastic end of the season and good luck to the district qualifiers next week! 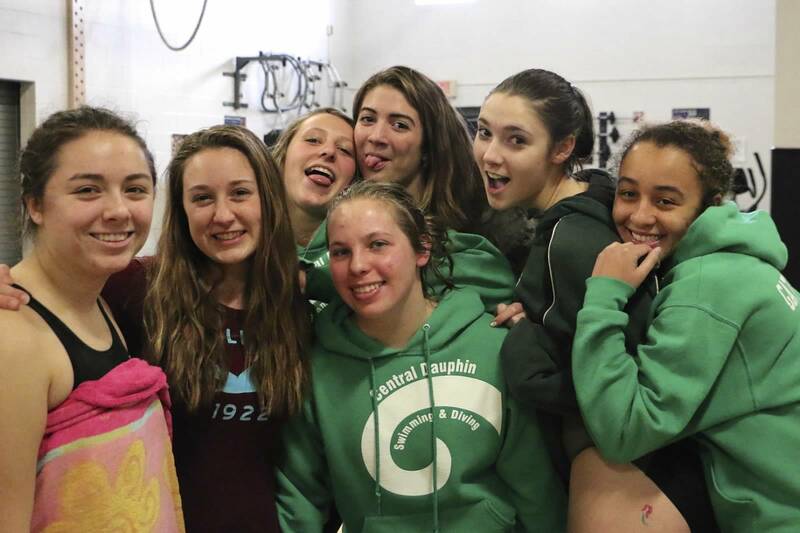 This entry was posted in Uncategorized and tagged 2015 Mid Penn Plunge. Bookmark the permalink.